New クイーン marabella. I think she's prettier than the old one but they should al least have keep her イチゴ blonde hair color. 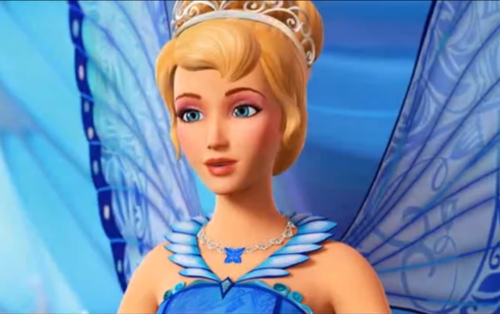 Wallpaper and background images in the バービーシリーズ（映画） club tagged: New queen marabella barbie mariposa princess fairy 2013. This バービーシリーズ（映画） photo might contain 肖像画, ヘッドショット, クローズアップ, ポートレート, ヘッド ショット, and クローズ アップ.